CHORLEY Council-led development; Primrose Gardens, is taking shape and is only a year away from its completion date. Primrose Gardens is a Retirement Village that will house residents age 55 and above to provide them with independent living as well as 24 hour access to care and support. The 10 million pound development is one of three major developments taking place in the town centre and will also bring a new dance hall and café that will be open to the public. Councillor Alistair Bradley, Leader of Chorley Council said: “We recently visited the site and it has come on leaps and bounds in the past few months. 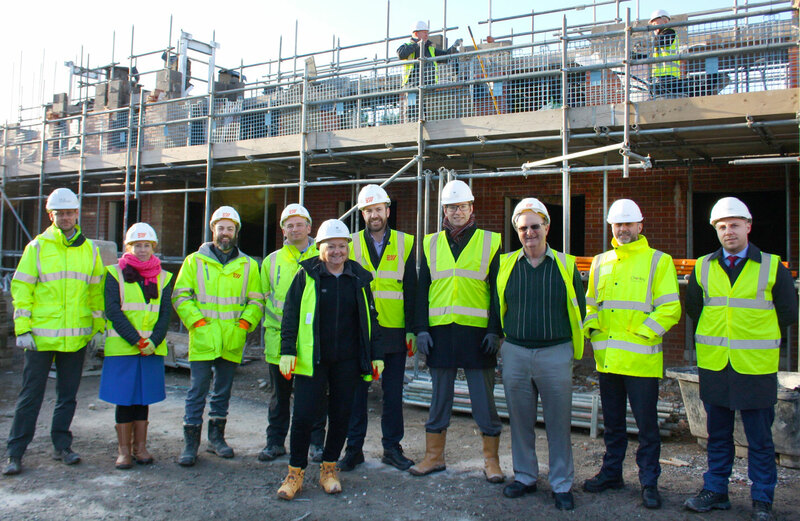 “The retirement village is due for completion in March 2019 and we can’t wait to open it and welcome residents to their new home. “The development also has open spaces for the public including a café, a hairdressers and a dance hall. The Retirement Village will integrate those aged 55 and above in society to minimalise isolation in later life. This will be done through the public spaces available in the village, including a café, hairdressers and a dance hall. The village is also ideally located on Fleet Street next to a doctor surgery and a pharmacy and only a short walk away from the town centre. The Retirement Village provides a level of support before reaching the support that is provided in a residential care home and residents will have access to 24 hour care and support if needed. Many have already shown their interest in living in Primrose Gardens and Chorley Council are asking that anyone who is interested completes the application form.